AMEN BROTHER. AND THEN JESUS SAYS IN JOHN 3:5 THAT NEW BIRTH COMES ABOUT BY “WATER AND SPIRIT” WHICH IS WATER BAPTISM JUST LIKE HE HAD JUST DONE IN THE JORDAN RIVER. Steve, I lay no claim as an expert in theology. I have met protestant men and women who clearly have the peace of God and the fruit of the Spirit. Likewise, I have met many Catholic men and women who possess the same. If I were at an elementary school with my children and you were as well holding hands while in a circle around the flag pole should I be condemned if I make the sign of the cross? Should my children? Should I, as an adult, as a believer in Jesus Christ, condemn you if you do not? Should I say that you and your children will be treated as heathens? Certainly not to either. Change the location to an abortion clinic. How about a street overtaken by drugs and violence? A mission trip to serve others and pray they not see us but Christ’s love in us. While we argue over doctrinal issues we are rapidly losing ground. Do I agree that if Mary had said no that it would have stopped Gods plan of salvation? Absolutely not. Mary is a holy woman who was full of courage and grace. God knew her answer before time came into being. Likewise, I agree faith without works is dead. We are saved for good works not by good works lest we should boast. If you and I sat down could we be civil and agree to disagree on doctrine? Could we agree that Jesus is the way the truth and the light? A lot of words for this…if we could not then we better spend more time in the Word and less time on your site. ; )…no offense intended. God bless you and yours. I did mean life…not light. Told you. Dear De Maria… In the name of the Father,and of the Son,and of the Holy Spirit, You and Steve did a great job for defending the truth teaching of the Holy Catholic Church and will continue until the end of the world. Two really obvious points: 1) These references are long after the Apostles were dead so “no ringing in their ears” stems from them. 2) What you’ve actually shown is a transitional period when the Church thought of the saints praying for us to a later time when we began to pray to them. Thank you Steve! Always blessed by your faithfulness to the Church and sound doctrine. Brothers and sisters in Christ are praying for you to keep up the good work. Would you please read the Lord's prayer. Jesus prayed it. He was giving an example on how to pray. He didn't pray to Peter, Paul, Mary, or John-who took care of Jesus's mother and wrote Revelation. No He prayed to His Father. This is Jesus Himself praying, should we not follow Him, like He asked Peter and His disciples to follow Him. This reference in 350AD is close to 270 years or more after the disciples died. The disciples who wrote the gospel. Do their words of what Christ told them mean nothing? STEVE RAY HERE: First, thanks for writing Barry and God bless you. Second, well you need to remember that the words pray and worship are two different words with different meanings. Pray Is to ask for something, it means a petition or a request. Third, when we pray to Saint it is not worshiping them. It is asking them to intercede WITH us as we pray to God himself. God is the only one who can answer prayers. Fifth, we are to pray for each other and to ask others to pray for us. We believe the church is one organic body not split up and divided and those in heaven are part of the body of Christ like we are. We ask them to intercede for us just like I could ask you to intercede for me. Even though I can’t see you or talk to you personally but I can use technology to do it. I don’t know how spiritual technology works but I certainly trust the Scriptures and the church That the Saints are very much alive in the presence of God, are concerned about what’s going on down on earth and can easily request from God benefits on our behalf. Sixth, Believers have been asking for the prayers of the Saints since the beginning. All one has to do is look at the graffiti left in the catacombs to see where they said from the first centuries “Peter and Paul pray for us”. 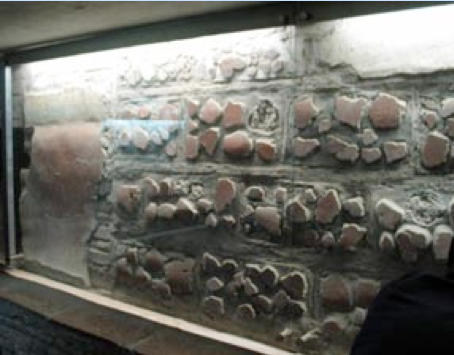 In the catacombs of Saint Sebastian there’s one segment of wall covering the area where the bodies of Peter and Paul wants rested and there are 614 requests for intersession scratched into the wall from the very first Christians. Seventh, this is just scratching the surface. There is so much more to say but if you’re interested you’ll find the sources. If you’re not then I feel sorry for you. 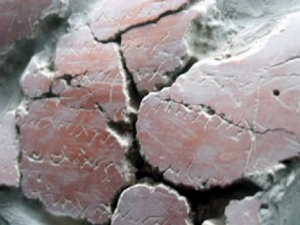 Referencing scratching on gravesites and ancient graffiti is pretty week. That's like me telling the building inspector that I built it wrong because the guy before me did. You can defend Christian Paganism if you like but really you should stay with the gospel that's what saves. STEVE RAY HERE: First of all, I think you meant "weak", not "week." Second, these people still had the words of the apostles ringing in their ears long before the New Testament was collected into a final book. These early Christians were living the Gospel as taught them by the apostles. If my argument was from “scratching on gravesites” alone, I would agree it is a bit weak, but when you consider the preponderance of Scripture, Jewish practices and the teachings of the early Church it is overwhelming. I dare you to begin reading the Fathers of the Church who are authentic witnesses to the teaching and practice of the Apostles. Your idea of the "gospel" is very limited and mostly the result of the traditions of men in the last couple hundred years. Sorry, but you won't find the whole Evangelical Fundamentalist protestant theological innovations in the early Church. On the comment that you said for Matthew 10:40-42, it does not say “pray” to a righteous person. It says recognize. So admit that he or she is righteous, it does not say to pray. When the whole Gospel is taken in context, it is clear that Jesus expected us to have recourse to the Saints in our prayers. So my point is Jesus was making a point that Abraham is not the Father, and that God can raise up everything and Abraham cannot. Jesus is the mediator to God, not saints. And Abel, is not better than God. I didn’t say that he was. But that Scripture recognizes that Abel is still alive today. Even though he died. No problem. Sorry I missed it. But maybe this will help those who thought your objections couldn’t be answered.